This month’s Meet The Staff introduces a newer member of our team, Shaun Laungani. Shaun has been with us since the October sales, helping us out in the office with the stallion bookings. 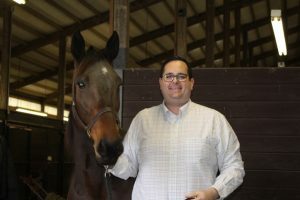 While already a Thoroughbred man, his hobbies include going to the sales and races, Shaun became involved with Standardbreds through his connections at Diamond Creek. 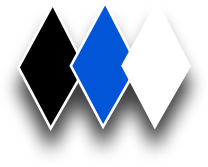 He became hooked on the industry while following Downbytheseaside’s three-year-old campaign. Shaun has no pets, his 4 year old son, Marshall, is enough for him to chase around. His bucket list includes being involved in the breeding of a champion race horse. Drone Pilot is included in his resume, and his secret talents are playing the guitar and harmonica and singing. Maybe you will see him perform some karaoke at the open house this year?